Interest in India about the newest Russian fighter jet, the MiG-35, is growing, because the number of French Dassault Rafale fighter jets to be purchased has decreased, Sergey Korotkov, General Director of the Russian Aircraft Corporation MiG (RAC MiG) told RIA Novosti during an interview. 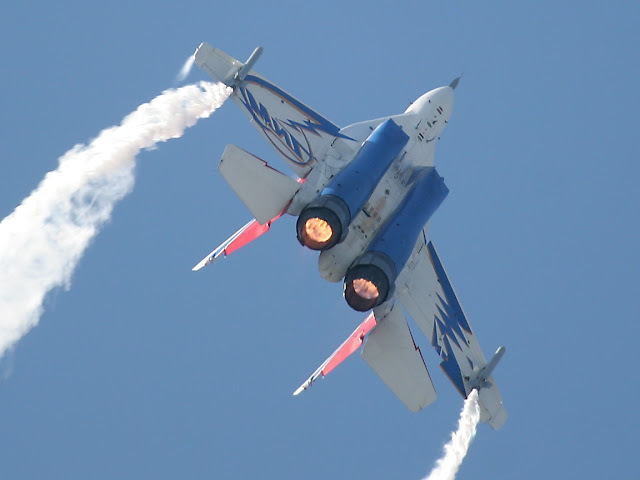 “Given the limited purchase of Rafale fighter jets, and the urgent need to upgrade the fighter jet fleet, interest in the MiG-35 has been objectively increasing. This issue is currently being discussed in professional circles of India,” said Korotkov. During a visit to France in April, Indian Prime Minister Narendra Modi announced that an agreement had been signed, between India and France, for the purchase of 36 Rafale fighter jets. Earlier, India had planned to buy 126 of these aircraft.